I’ve just bought the TFGear All Round Clothing Jacket, it’s one of the best waterproofs I have bought. Im not totally into the camo gear (except for a pair of shades I own, and an old pair of trousers) So this colour sheme fits into my fashion criteria. 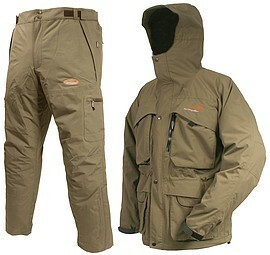 They are very comfy and light and will make a good addition to winter fishing as well as summer evenings. If you like these waterproof products from TFGear and would like further information or to purchase them please click here. The Korda boilie Krusha is robust and built to stand up to the rigours of bait crushing, it has been carefully constructed from soild materials and the Teeth inside the Krusha will demolish the hardest of baits including tiger nuts, air-dried boilies or brazils. Simply place your chosen bait inside the Korda Boilie Krusha, push the two sides together and get twisting, the more you twist the more you Krush!. The Krusha is a great time saving device, it will also be very useful in cold weather too, when your hands are freezing and trying to chop up boiles becomes impossible. The Krusher is simple with very little effort required, simply insert the bait, and twist. The more you twist the finer the bait becomes. I’ve used this on boilies and hard halibutt pellets, it crushes them with no problems. Click here to Buy the Korda Boilie Krusha now, it is available in two sizes small (FC-KRUSHA-S) and large (FC-KRUSHA-L). Maver UK Limited was launched in 1994, with probably the most technically advanced poles in the world at that time. The prestigious Maver brand is the flagship of the group of companies, Maver UK Ltd, Reglass SPA and Paioli Sport. They are Europe’s largest and best producers of competition poles. The best mid-priced pole Maver have ever produced. The Maver Competition 201 is outstanding at 13M, unbelievable at 14.5M and excellent at 16M. At 11.5M weighing in at a featherweight 618 grms, and at 13M an incredible 868 grms. 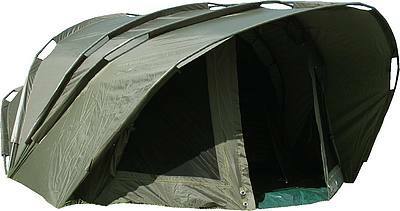 Supplied with at 16M as standard with a total of 6 kits including the top 3 housed inside the fishing pole. 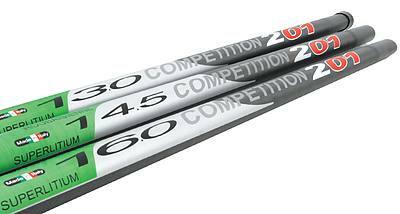 For the price tag this pole is advertised at the Competition 101 fishing pole is nothing short of remarkable. Featuring the same technology found on models costing more than £2000. Features such as Magic steps, Fusion, Sun Core AFS finish, Teflon joints and Nanolith impregnated fibres have never been available at this price level before. Supplied at 13M as standard the 101 weighs just 696 grms at 11.5M and only 932grms at 13M. A perfect all-round fishing pole that is at home on canals, lakes and rivers, but showing its true colours when carp are the target. Weighing just 665 grams at 11.5M and just 910 grams at 13M. This fantastic pole is the best value high performance fishing pole available. Primal Thermal Jacket and trousers offers unrivalled protection against all the elements. This definitive advantage camouflage suit is seriously warm – making cold nights on the bank a thing of the past. 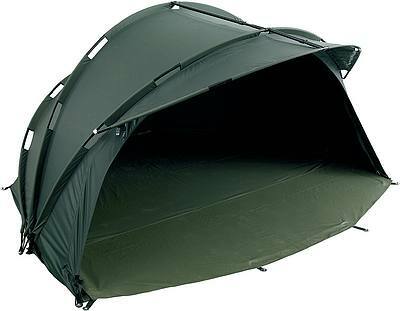 From reviewing my fishing bivvy advice, I have researched a few Bivvies, one shelter which covers a number of my considerations and set at a buget affordable to most anglers is the Force 8 Bivvy from Fishtec. Effortlessly set up in less than 20 seconds. Force 8 is fast and easy to errect, thanks to it revolutionary central hub system that quickly pulls its strong flexi ribs into place, it is then just a simple matter of sliding the Flash-Touch power lock into position and this incredible all season shelter is ready to go. Twinned skinned to maximise comfort, the Force 8 creates a warm, thermally insulated condensation free enviroment guaranteeing full protection against the worst weather imaginable. 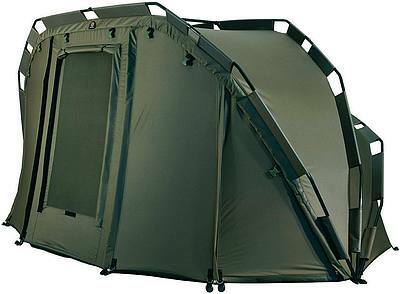 Designed with an integrated porch area that gives extra storage space for wet clothing, bait and any other tackle you do not wish to have within your main living space,this also provides vital extra frontal coverage during extreme weather conditions. Speed to erect the Bivvy, can you erect it by yourself? Can it withstand the strong winds and heavy rain? Speed to pack the Bivvy away – does it fit easily into its original bag? How heavy is the Bivvy to carry when packed away? Does it pack into a reasonable size for transporting, both on land and in a vehicle? Is it made from quality products, are the seems, glue, zips, pegs, cord and poles looking good? or are they fragile! Is it a popular brand – can you get parts? How accessible is the Bivvy, does it have any obstructions, are the zips awkward. You need fast access in and out of the Bivvy if you hook into a fish. Height of the Bivvy, the standard is around 5feet 6inches. Is there a flap on the Bivy floor to prevent rain water coming in the entrance? Is there a storm porch for added protection when the doors are open (which can be often). Are there pockets in the Bivvy for storing tackle, torches, alarms etc? Are there loops in the Bivvy for hanging lights? Can your bed fit in only one-way? Does it get very hot inside, how many air vents are there? Taking the above options into consideration a Bivvy should be thought as a long term purchase. In other words its best splashing the cash on a decent recommended Bivvy which is going to last years, than paying for a cheap one which isn’t up to the job and will only last a couple of seasons fishing. If you are a beginner or on a limited budget, then you can pick them up for as little as £30, but obviously the quality is not there. The Dome – Single skinned layer, doesn’t keep the wind out so well! The Twin-skinned Dome is the all singing and dancing Bivvy. Wind-proof, rain-proof and damp-proof. The double layer also keep the heat in which should be a huge factor if you intend fishing cold nights during the winter.